Upload extra font options on your signage. Besides using OnSign TV default font, you can upload additional font styles to customize apps and image composer. Make sure the files are OTT or OTF format. On your OnSign TV Page, click on "Content" tab. 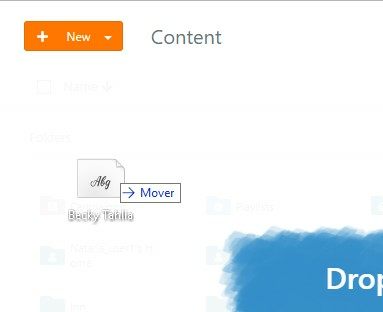 Hit "Upload file" and search for the font file, or simply drag and drop it from your computer. OTF and OTT files are supported. Drag font to new or existing folder. Now you can already pick the new font when creating apps or compositions for your signage.